U2 - "No Line on the Horizon" - The band's twelfth album, featuring lead single, "Get on Your Boots." The record is U2's first since their 2004 release, "How to Dismantle an Atomic Bomb." It is released in a variety of formats, including a standard CD, 2-disc vinyl LP, digipak and a box set that includes a DVD, poster and 64-page book. 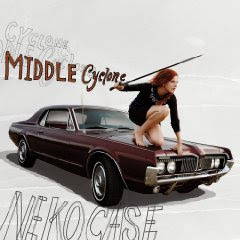 Neko Case - "Middle Cyclone" - The one-time Chicago resident and Hideout bartender has gone on to worldwide success both as a solo artist and with The New Pornographers. "Middle Cyclone" is her newest effort, featuring 15 tracks and guest performances from M. Ward, members of the New Pornographers and more. She's set to play the Chicago Theatre on April 24 as part of her Spring tour promoting the record. The Prodigy - "Invaders Must Die" - The fifth studio album from the British electronic trio, following-up 2004's "Always Outnumbered, Never Outgunned." Bell X1 - "Blue Lights on the Runway" - The fourth studio album from the Irish indie rockers. The band garnered international popularity from their last album, "Flock," with tracks such as "Rocky Took a Lover" and "Flame." Fountains of Wayne - "No Better Place: Live in Chicago" (DVD) - The band's first ever DVD features a 2005 Chicago performance with hits such as "Stacy's Mom," "Sink to the Bottom" and "Radiation Vibe." Mazes - Self-Titled LP - Mazes is a side project from Edward Anderson and Caroline Donovan from acclaimed Chicago folk-pop group The 1900s. The two are joined by Charles D’Autremont for a somewhat looser extension of the 1900s sound, with songs recorded "in various studios, bedrooms and basements over the past few years." Available from Parasol.